While each type of system has its own individual benefits, they also share some things in common. No matter which filtration system you choose, it will provide these benefits, along with so many more! All water that comes through your faucet has also gone through your city’s water treatment facility. The rules and additives for different cities vary based on local laws and regulations. In order to ensure that your drinking water is up to your personal standards, you can choose a water filtration system for your home. This way, you know that you and your family will always have access to good drinking water. Even though your city treats your water, there are still some parasites that travel through water that can slip through the cracks, so to speak. These bacteria can cause all sorts of gastrointestinal issues if ingested. Protect yourself with an in-home water filtration system! Have you tasted your tap water lately? Most people don’t care for the taste of the tap water in their home. This can be caused by any number of factors. By installing a water filtration system, you can ensure that the taste of your drinking water will always meet your specifications. Many of the substances that are normally found in water can aggravate certain skin conditions in those who are highly sensitive. Heavy metals, fluoride, chlorine, and others can aggravate psoriasis, eczema, and more, especially in children. 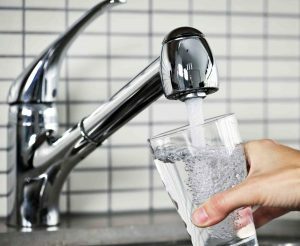 Consider a water filtration system that will take these substances out of your home’s water, especially if someone in your home has sensitive skin. This entry was posted on Friday, December 8th, 2017 at 8:58 pm. Both comments and pings are currently closed.